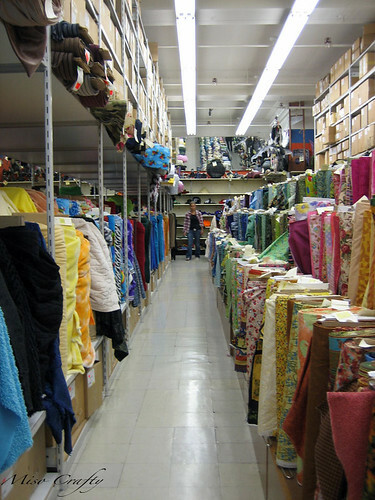 I mention in the last post that Brett took me to Vancouver on Monday to do some fabric shopping as a make up birthday present until my actual present arrives. I wanted to break up my shopping excursion into several posts, to avoid having an overly long post and having anyone reading this from getting tired a quarter of the way through. You'll see why. 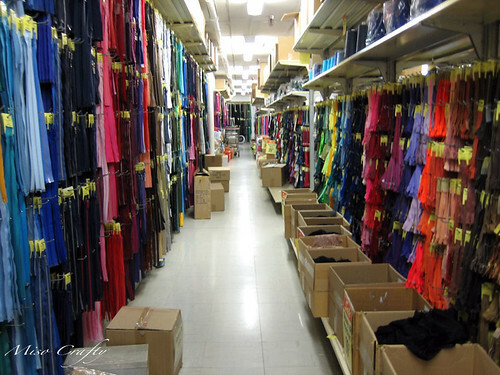 First floor, a few aisles dedicated to costumes/Halloween gear...after that, aisles after aisles of fabric! Zippers galore! 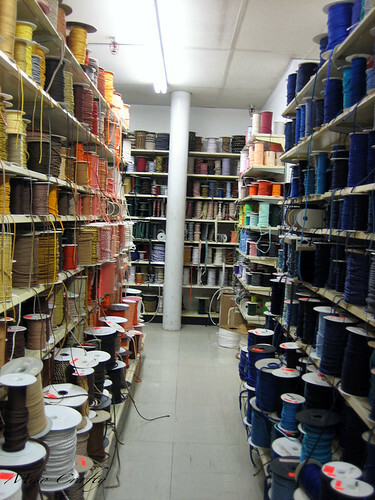 This aisle goes from one end of the store to the other...and there's another aisle like this dedicated to zippers!! A wall of buttons...the other side of the aisle is full of buttons too, with racks of even more buttons in the middle of the aisle! 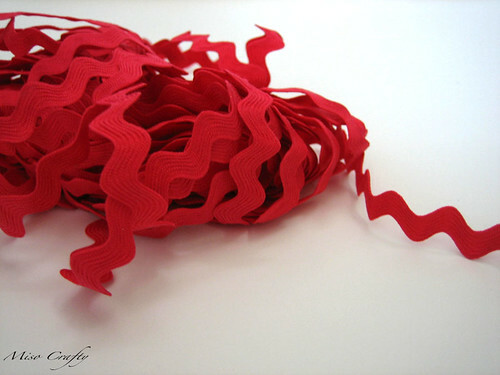 Half of the basement is loaded with floor to ceiling, jam-packed shelves of trims. 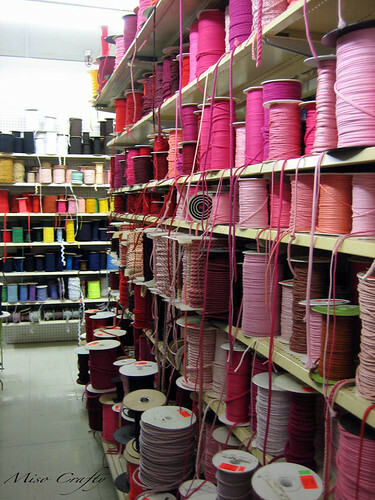 I had to take this photo of the pink trim section...cause well, you know me and my love of all things pink! 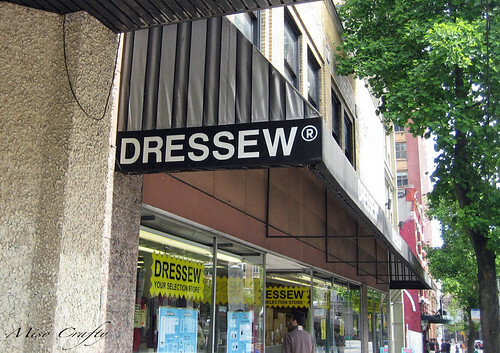 I seriously, seriously, seriously love Dressew! 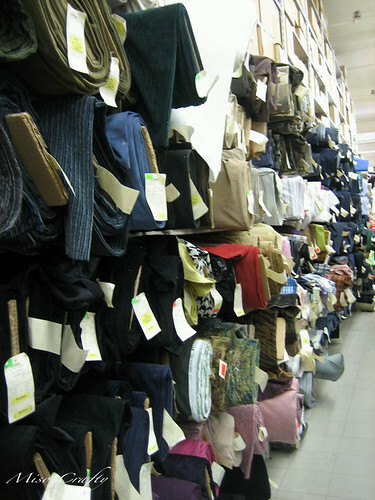 I had stopped taking pictures cause I really got into shopping/bargain mode. 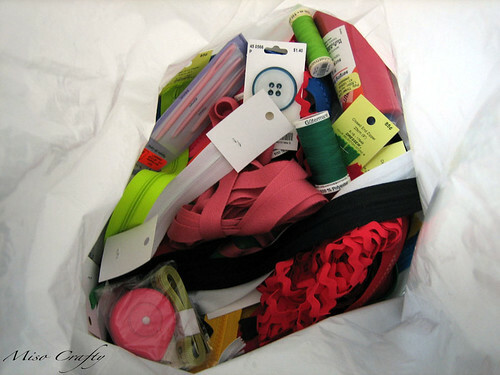 So I didn't get the chance to take a photo of the bins with bags of notions for less than a dollar, or the wheels of lace, webbing, and elastic all for less than 5 bucks. I really had to hold back and be very selective with what I got. On the drive to Vancouver I had to make up a budget for all the stores that I was hoping to visit, just so that I didn't go overboard and end up with no money left for groceries for the rest of the month!! I was quite proud of myself and of my willpower and didn't break the bank or go over budget. My bill didn't even go into the triple digit range!! I was going to take a bunch of photos of my loot, but when I took a good look at my bag of goodies, I realized that there was just way too much. 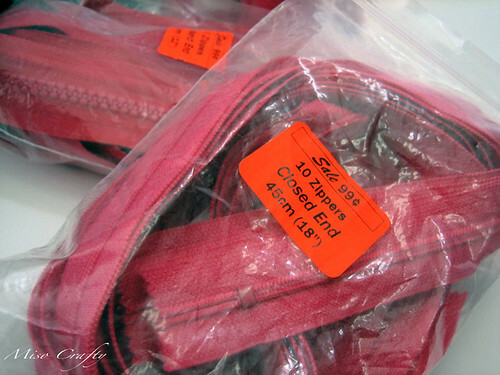 To continue on with the pink theme: some hot pink rick rack trim! Again, my camera/computer couldn't pick up on the hot pinkness and so it looks kinda red here. 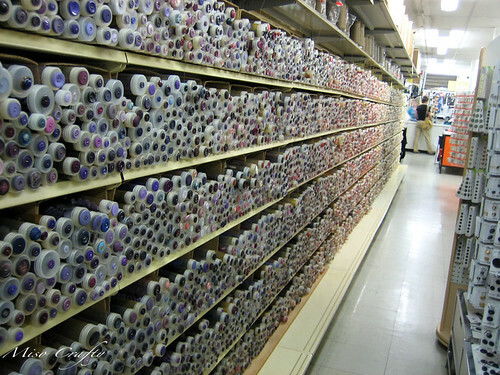 There were a few shelves that were loaded with huge wheels of rick rack in all colors and sizes. I spotted the hot pink at the very back. I was über happy to discover that it was only 25 cents a metre!! Here in Victoria they charge at least $1.25 a metre! Maybe that's why I never buy trims here...so with that said, I scored 10 metres and am thinking I must ration this out on projects evenly. And the real deal? These bags of zippers for 99 cents. That's right, a bag of 10 zippers for a dollar. That's 10 cents a zipper!! 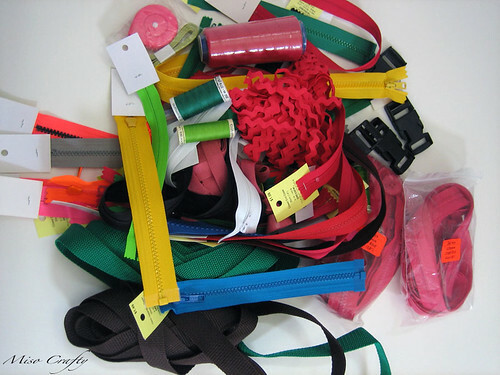 And no, they're not cheaply made zippers either, they are the YKK zipper brand! I got individual zippers too, each less than a dollar. It was a little frustrating when I first moved to Victoria, when I had to pay full price for a zipper. In the past 10 years I've always had Dressew to go to, or my school. So you better believe it when I say I stocked up! Now you can see why I love Dressew sooo much! I'm hoping that I can get some major sewing done before next month roll around. I'll be heading back to Vancouver mid-July for a concert and am hoping to make another stop there. But first, I really should tackle some of the stuff that I just got!